Memorial Day is one of those holiday's that should be celebrated everyday. Preach. We hope you're having an awesome weekend with friends & family, and taking in a couple of moments to honor the brave men and women who gave their lives in hopes to build a better future for the next generation. The success of America was built on sacrifice, and many of those made by our own friends, grandparents, mothers, fathers, brothers and sisters. If you look at your wardrobe these days, chances are you have a camo jacket or military coat somewhere in your rotation. And, if you were lucky enough to cop one from a dope vintage shop or Army and Navy store, you might even score a piece with a rare military patch sewn on. As a gesture to our brave soldiers from the past, present and future, we're giving our own 21 gun salute with a collection of awesome military patches from the United States Armed Forces. 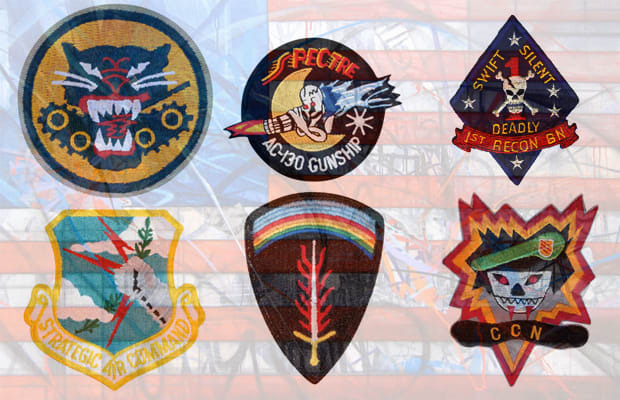 Continue to check out 21 Awesome Military Patches From The US Armed Forces.